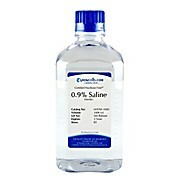 Saline sodium citrate stock solution (10X, pH 7.0) contains a concentrated solution of filtered saline sodium citrate (SSC) buffer. 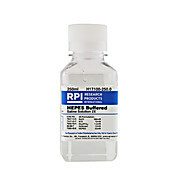 Saline sodium phosphate EDTA stock solution (20X, pH 6.5) contains a concentrated solution of filtered saline sodium phosphate EDTA (SSPE) buffer. 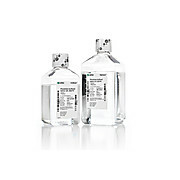 This PBS formulation is recommended for use in immunohistology protocols. Each package contains 4 L of 10 concentrated PBS or 40 liters of 1 x solution. Each 1 x PBS solution contains 137 mM Sodium Chloride, 2.7mM Potassium Chloride and 10mM Phosphate Buffer, pH 7.4-7.6 at 25°C. Trypan blue 0.5% Solution in Dulbecco’s Phosphate Buffered Saline. Used for live-dead cell counting. Phenol red 0.5% Solution in Dulbecco’s Phosphate Buffered Saline. Used as a pH indicator in cell culture media. 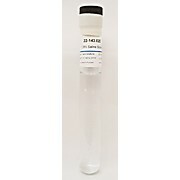 G-Biosciences offers 0.9% NaCl in two convenient sizes to meet your particular laboratory needs. 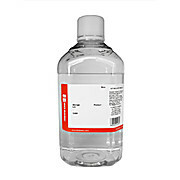 Applications Sterile saline solution suitable for numerous applications.